An office space is a reflection of your business. When customers and clients see your office, they are seeing your professionalism on display and will judge accordingly. Furthermore, an office is your work environment. If it is organized and conductive to your employees, then you will enjoy an unimpeded ability to grow your company. However, getting a proper office can be a time-consuming and costly endeavor, which is why rentals can be the best choice for small businesses looking to expand or set up. Real estate is expensive, especially in the current market. The intense competition on display right now means that trying to find, let alone secure, an office space to buy can mean getting priced out of the best business locations. Geography is highly important to any business as it affects not only how easily customers and clients can find you, but governs the commute of your employees as well. Rental office spaces are a more plentiful and more affordable option that gets your business set up in what would normally be an unaffordable locale. You can have access to key downtown amenities and prime business locations to better attract and appeal to clients and customers. In the event that you manage to purchase your own office space, that is not the only obstacle between you and your business’ success. The office needs to be set up, equipment acquired, phone lines and internet installed, not to mention bringing in furniture. These are just a few of the time-consuming and distracting tasks of starting an office, let alone keeping one running. Rented office spaces are “out-of-the-box” ready. They come fully furnished, have phone and internet set up, and can even come with free coffee depending on your provider. The rental company also provides their own office manager so you can devote yourself fully to growing your business. This also means that any of the up-fronts that would have gone to purchasing a property can now be invested back into your company. Office sizes are based on need. If your business enjoys more success than expected, you need to accommodate the extra employees hired to handle demand. If your business is not as successful—or you simply don’t need as much staff as you thought—then scaling down can be beneficial. When owning an office property, you are more constrained in what your options are regarding scale and size. With too many employees to fit under one roof, having some of them work from home can be manageable but not ideal. With too few, all that extra space is just money down the drain. Rental leases are flexible and can be renewed for smaller or larger properties based on need and duration. A small office one year can become a large space the next, or vice-versa. One of the main benefits of renting an office space is that it essentially alleviates you, the business owner, of all financial responsibility when it comes to paying for routine maintenance of the building. Unless you or your staff members are guilty of misusing the equipment provided; destroying private or commercial property; or defacing the building in any way, then you’re not technically liable for covering the costs. Routine maintenance includes things like repainting walls, repairing broken-down equipment, keeping the bathrooms clean and sanitary, etc. The landlord is responsible for ensuring that all office equipment they supply is in proper working condition and that the premises are kept clean and secure. In case you have any concerns about the way the building is being managed, you can always turn to them to voice your concerns. On that note, renting an office space also allows for greater strategic and financial flexibility for your company. This means you can focus more of your energy, time, money, and resources on helping your business flourish and become more successful, rather than worrying about making monthly mortgage payments or delineating funds for unexpected repairs. Since you’re not locked into a permanent real estate investment, you have the freedom to shop around and find new locations that might better suit your business in the future, whether that means downsizing or expanding. Having more financial flexibility also means you can retain greater amounts of the working capital your business earns, which leaves more room for promoting hard-working and deserving employees as well as making necessary adjustments to your overall business model. It gives you the freedom to spend your hard-earned money in ways that suit the needs of your business rather than paying a mortgage based on variable interest rates that could increase as the market continues to change. Small businesses, startups, and freelancers especially can reap the advantages of renting office space because it gives them a proper home base where they can conduct business and conveys a strong professional image to potential clients and prospective employees. The reality is that holding meetings in noisy public places like restaurants and coffee shops just doesn’t cut it anymore. Most companies that provide professional office space for rent typically have multiple tenants occupying the same location. You might think sharing an office space with other corporations similar to yours could mean crowding or stolen ideas, but that’s actually far from the case. Oftentimes, your office space will be closed off or isolated from that of your neighbours so that you’ll only interact with them whenever you want. In a lot of ways, though, sharing an office space with other companies and likeminded business-savvy individuals isn’t necessarily a bad thing because it can lead to unexpected collaborations and even professional partnerships. 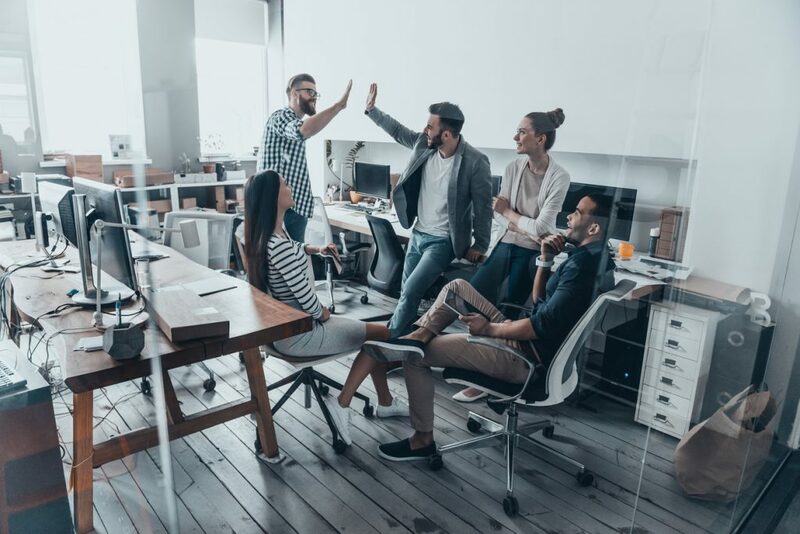 Not only do shared office spaces open up a slew of unprecedented opportunities for growth, but you might even be privy to some much-needed insight into keeping your company thriving from people with more experience. Innovative Professional Offices provides top quality rental offices that are perfect for any company or startup on a budget. Our flexible terms and rates and customizable packages means you can find the Mississauga or Ottawa rental office that most suits your unique needs. Our professional office administrator, reception, and IT staff ensure your use of our facilities is hassle-free and lets you devote yourself to making your business succeed. Contact us to learn more about our rental offices and the services and amenities we include.